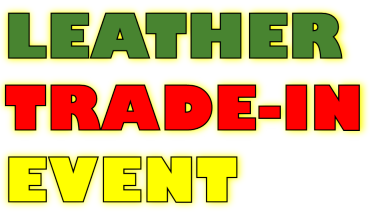 We almost did not advertise it. 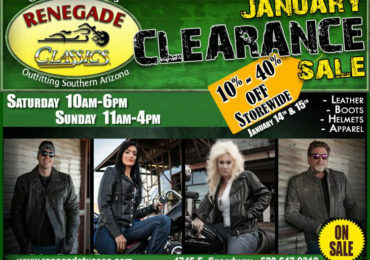 Black Friday sale at Renegade Classics covers discounts on helmets, travel bags and saddlebags, boots, T's, Tops, Dickies and LS shirts. 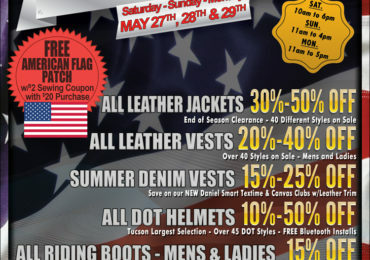 Some strong discounts on leather items like jackets, club vests and gloves. 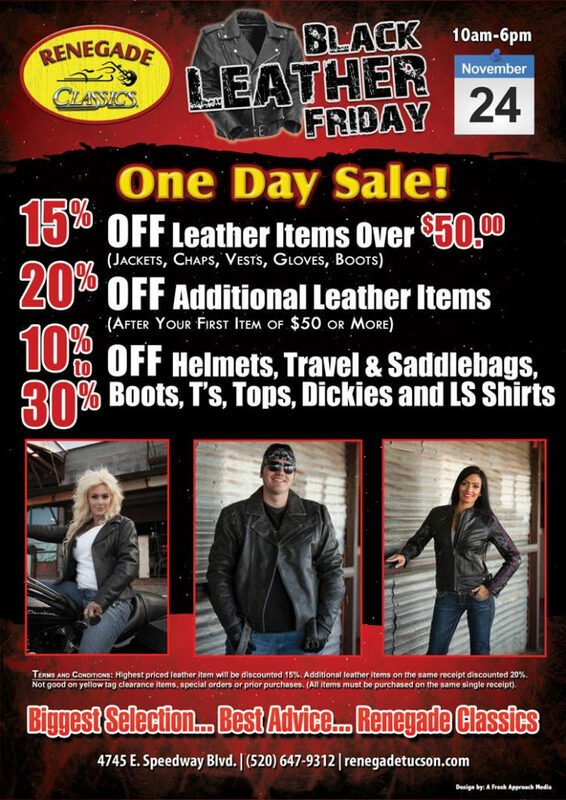 AND, some 20% OFF on additional leather items, after your first one. 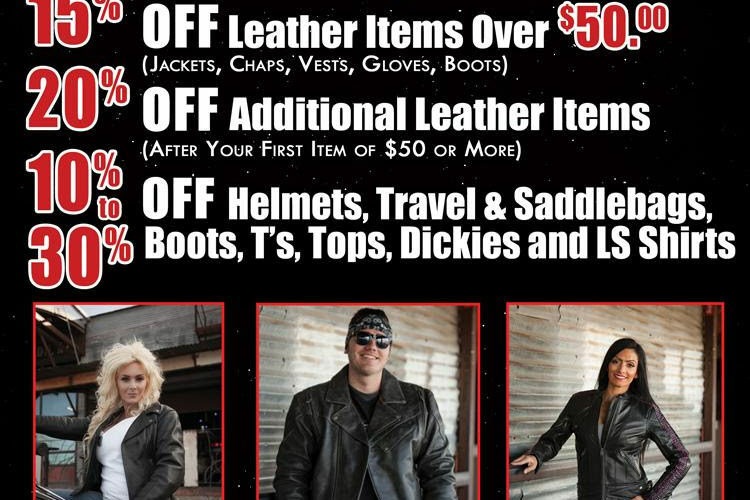 So you take 10% of the first item (needs to be over $50), and you take 20% OFF the second leather item... Are we cool or what?